Ramona and Beezus: 6 out of 10. Yesterday, my daughter turned six. For her birthday, she invited 11 friends to see Ramona and Beezus, and I was lucky enough to score an invite. All 11 friends, and her 8-year old brother, loved this movie. I found it nice enough and pretty charming, but damn is it tame. In other words, it's perfect for kids under 12 and pretty friggin' boring for 30-something year old guys. 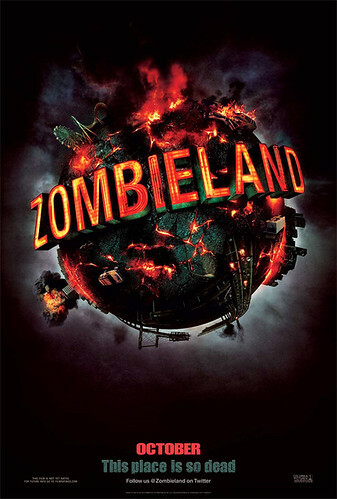 Zombieland: 7 out of 10. I had no idea what to expect when I sat down to watch Zombieland. It starred Woody Harrelson for goodness sake, and I guy I'd never heard of named Jesse Eisenberg. It was actually quirky fun and the Bill Murray cameo is pretty awesome. And Michael Cera better watch his back, Jesse Eisenberg wants his roles. But the best part of Zombieland? The fact it's only 88 minutes. No movie should ever exceed 90 minutes in length. 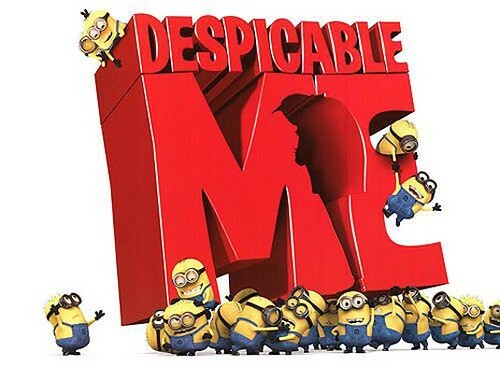 Despicable Me: 8 out of 10. I took my 8-year old to Despicable Me this past weekend. He had already seen Toy Story 3, and it's always tough to find a movie we'll both love. We both loved Despicable Me. It's just a solid, funny, charming little movie that's pretty perfect for those times you need a family flick. I'm sure they'll find a way to spin off the Minion's into a television series or sequel. 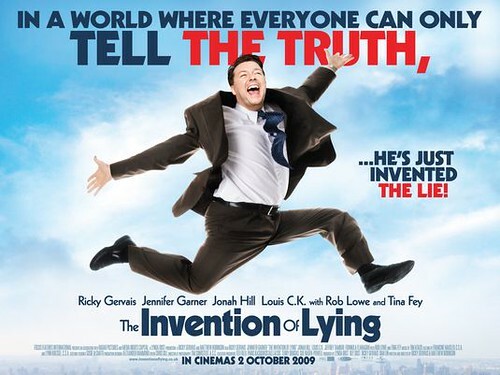 The Invention of Lying: 3 out of 10. I find Ricky Gervais to be a very funny guy. I laughed at his HBO special, I loved him in The Office and I even enjoy "The Ricky Gervais Show". Ricky Gervais is funny. Ricky Gervais wrote and directed The Invention of Lying, and he brought along a bunch of my favourite people. For my money, nobody is funnier than Louis C.K.. He's in The Invention of Lying. Tina Fey is pretty damn funny. She's in this thing, too. Does John Hodgman make you laugh? He makes me laugh, and he's in The Invention of Lying. Even the Bluths, Jeffrey Tambor and Jason Bateman, appear in this movie. That's a pretty funny collective, and you'd think it would be nearly impossible to make these folks unfunny. But that's exactly what The Invention of Lying is: unfunny. It's a semi-interesting 5-minute discussion stretched over 99 minutes, completely void of humour. I didn't laugh once, and when I'm not laughing at Louis C.K., something has gone horribly wrong. Funny People: 6 out of 10. I was okay with Funny People for the first hour or so. I think I even made it through the giant MySpace infomercial, maybe 90 minutes deep. Then, Funny People just wouldn't shut up! Funny People is way too long. You could kill most of the Leslie Mann stuff and all of the silly Eric Bana stuff. I don't know what movie Judd Apatow thought he was making. Big Fan: 7 out of 10. 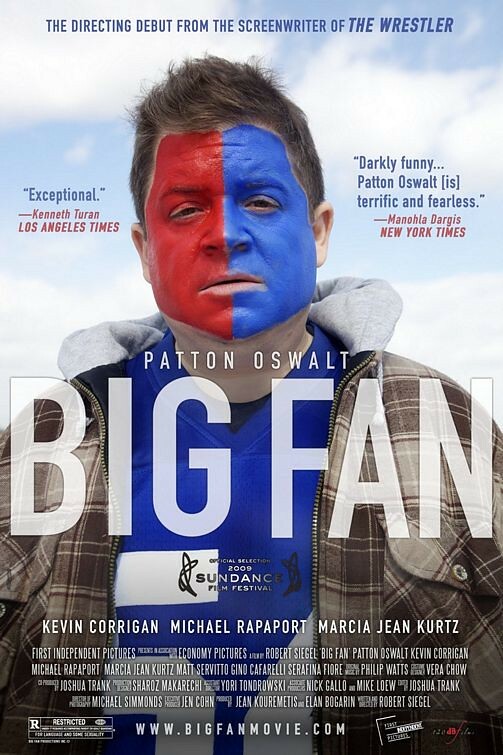 This one's a pretty dark comedy, but if you're a sports nut like me I'm betting you'll appreciate this film and Patton Oswalt's performance. I find it funny that most people know Patton Oswalt best for his bit part on King of Queens. Every time I see this guy, either doing stand up or something like this, he's brilliant. He's one of our best kept secrets. 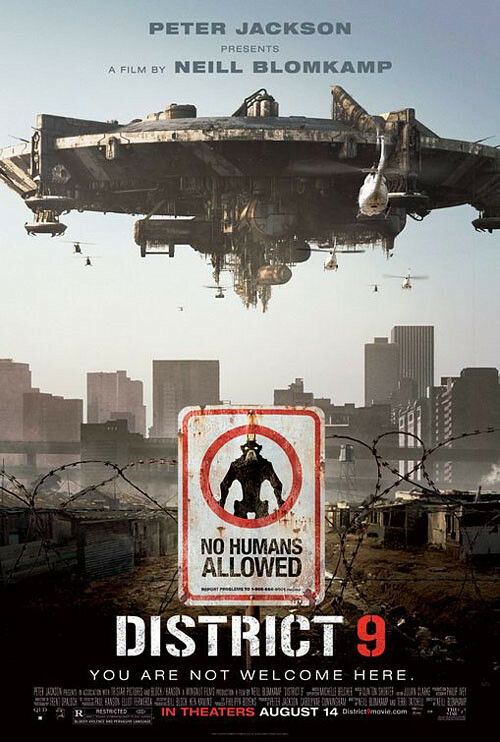 District 9: 8.5 out of 10. This one had me from the get go and didn't let up. I wasn't bored for one of the 112 minutes. I loved the style, enjoyed the ride and was blown away by this Sharlto Copley chap I had never heard of before. I don't have anything bad to say about District 9. I'd love to watch a sequel to see what happens three years after. 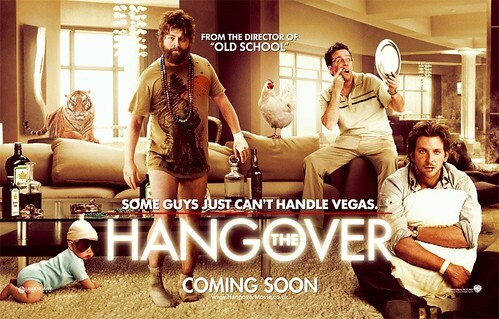 If you haven't seen this flick yet, you have your marching orders. 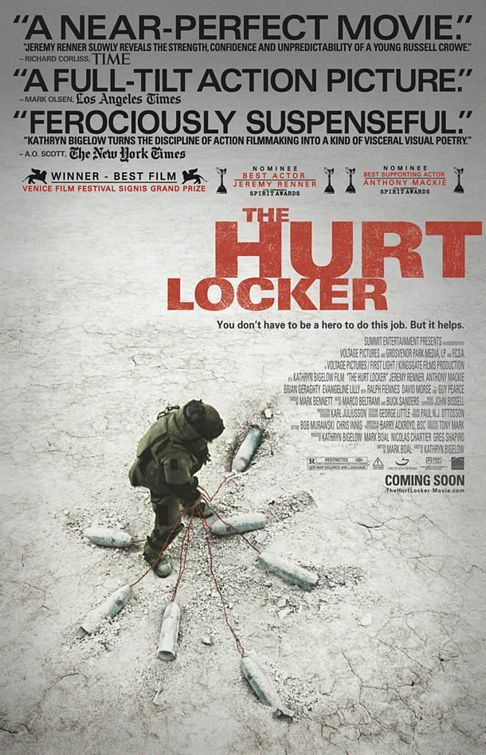 The Hurt Locker: 8 out of 10. Last night, I finally got around to watching the movie that won the Academy Award this year for Best Picture. That fact alone sets expectations pretty high. It's a great film, suspenseful and action packed and supported by good acting and an interesting storyline, but is it Best Picture-worthy? No, but neither is Avatar. This begs the question: If The Hurt Locker isn't Best Picture-worthy, and Avatar isn't Best-Picture-worthy, what movie should have won for Best Picture? I'm thinking it should have been Up. It was never going to be Up, but Up was probably the best movie I saw from 2009. The Hurt Locker was great, but it was no Up. 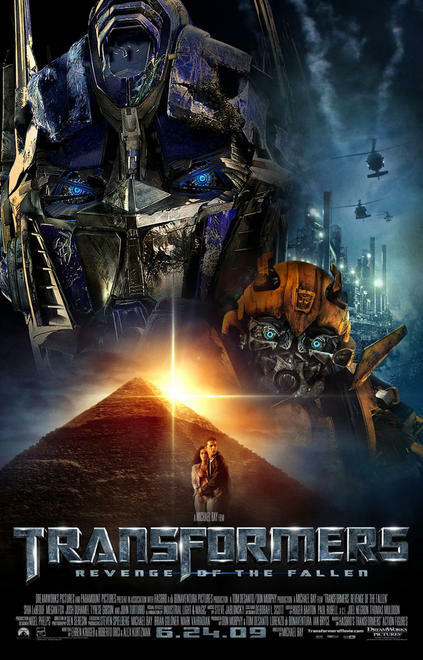 Transformers: Revenge of the Fallen: 3 out of 10. I enjoyed the first Transformers movie. I liked it enough that I saw it once alone, once with my son and again with both my son and my daughter. Man, did they lose their way with this sequel. It was brutal. I watched it with my son, who seemed to really enjoy it, but I was thoroughly bored by the halfway point and just hoping for it to end. Unfortunately, it kept going and going and going. A long, boring, stupid movie that's all style over substance is bad enough, but they introduced a couple of Jar Jar Binks to really murder any positive memories I had lingering from the first one. I know I'm a year late, but if you haven't yet invested 2.5 hours in this steaming pile of shite, don't do it in the hopes it can't be that bad. It is.